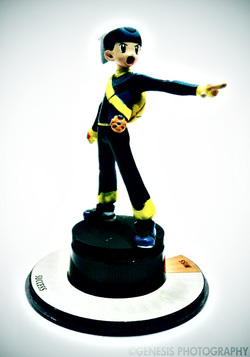 This is the first and only set of trading figures released in Europe, Australia, and Southeast Asia in 2006 and North America and Japan in 2007. The series was unfortunately discontinued in 2009 despite having a planned second and third sets. 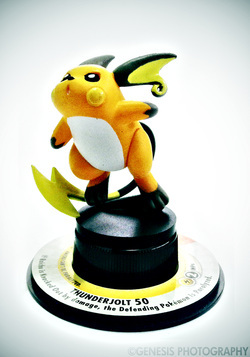 What piqued my interest in these figures was the striking resemblance of the Pikachu TFG with a bottlecap figure of the same character. True enough, I found out that they are both made by the same company - Kaiyodo. Since then, I dedicated myself in completing the trading figures. Though it seemed to be impossible at first, I managed to complete the Next Quest set minus the special crystal and pearl figures. 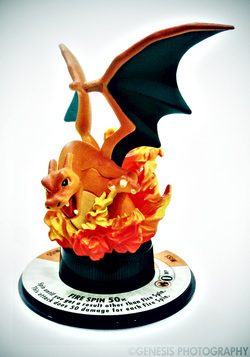 Notes : Charizard is part of the Flamethrower starter set. 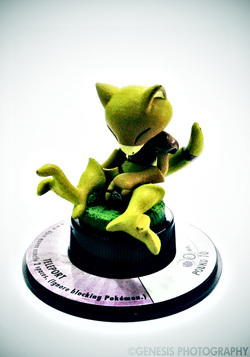 I got him with three other figures namely Treecko, Meowth and Red. Notes : Feraligatr is one of my first TFGs I got when I bought the Riptide starter set as a birthday present for myself. It, along with Pikachu, Murkrow and Brendan, is one of the core members of my TFG collection. 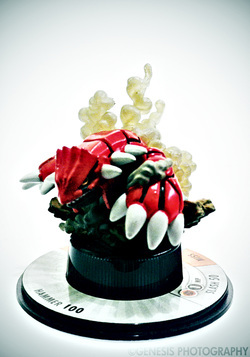 Notes : Groudon was received from a trade from waynegg of PokeGym. It is one of the last figures needed to complete the Next Quest set. 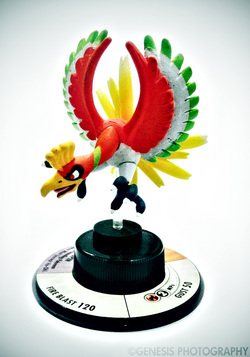 Notes : Ho-oh was bought from a shop that sells TFG along with a bunch of other figures. It was bought fairly cheaply compared to other stores that sells TFGs. 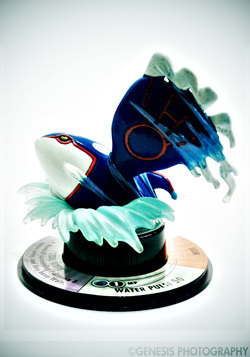 Notes : Kyogre was acquired thru a trade with waynegg from PokeGym. It, along with Groudon and many others, was the first trade I had overseas. 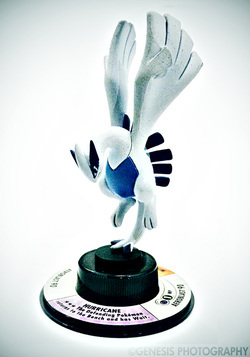 Notes : Lugia was bought from a shop that sells TFG along with a bunch of other figures. It was bought fairly cheaply compared to other stores that sells TFGs. Notes : Abra was one of the figures bought fairly cheaply from a store that sells TFGs. 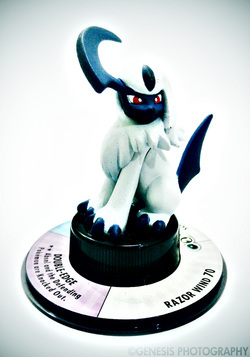 Notes : Absol, though supposedly rare, was one of the most common figures I got whenever I buy booster packs. I kept the one that was in a booster pack given to me by my friend. 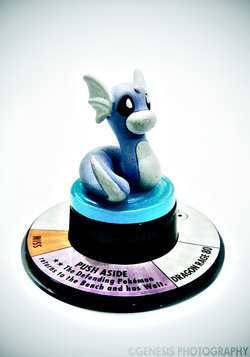 Notes : Dratini was bought fairly cheaply from a store that sells TFGs. 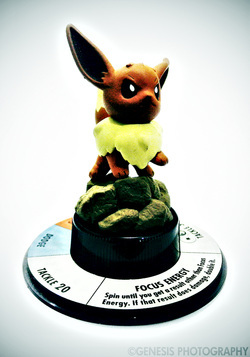 Notes : My first Eevee was gotten from one of the booster packs I bought on my birthday. 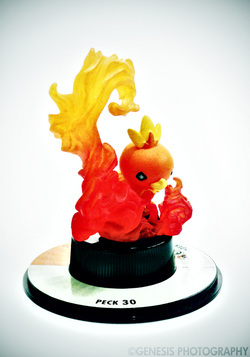 I then traded it to a fellow collector, white_chocobo of PKMNCollectors. It took me quite a while to find another one since it is pretty popular and quite sought after. 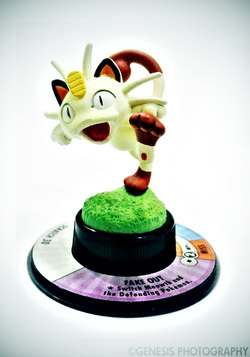 Notes : Meowth is part of the Flamethrower starter set and is one of the last few figures needed to complete the set. 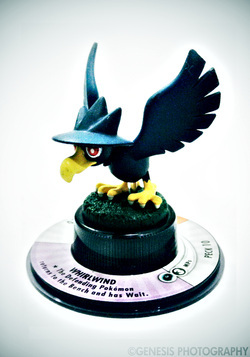 Notes : Murkrow is of the first TFGs I got along with Feraligatr, Pikachu and Brendan when I bought the Riptide starter set. Notes : Salamence was bought fairly cheaply from a store that sells TFGs. 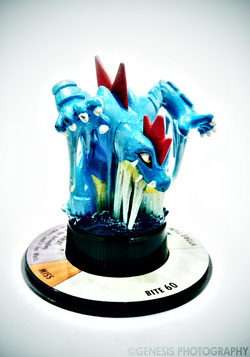 Apparently, Salamence is pretty common which kind of contradicts its rarity symbol which is "rare". 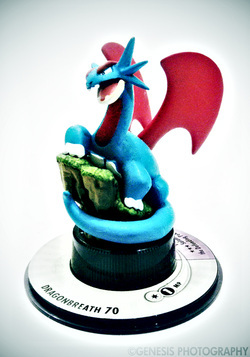 One rather interesting trivia about Salamence is that it is always seen together with un-released 3rd set figures in eBay sets and Chinese stores. Though I've no idea why. 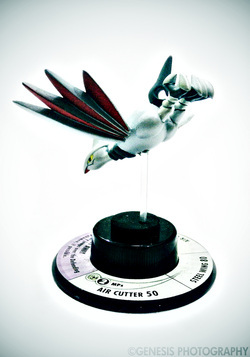 Notes : Skarmory was bought fairly cheaply from a store that sells TFGs. 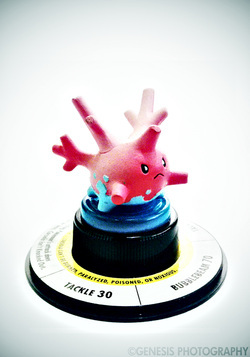 Notes : Corsola was obtained from one of the booster packs I bought. Notes : Golem was obtained through buying a group of TFGs from a store that sells them. 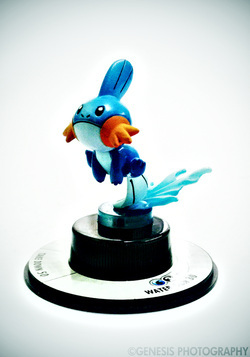 Notes : Mudkip was obtained through buying a group of TFGs from a store that sells them. 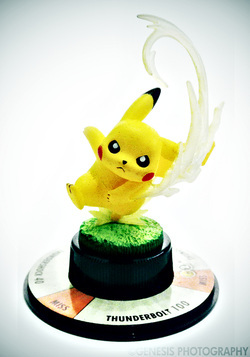 Notes : Pikachu is one of the figures that started it all. It is part of the Riptide starter set that I bought on my birthday. Notes : Raichu was obtained from one of the booster packs I bought together with Corsola. 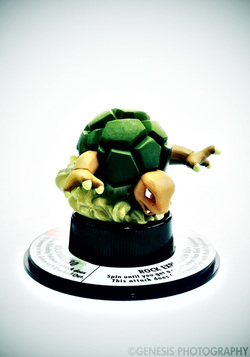 It is one of the fairly popular figures I traded. This is actually my 2nd Raichu as I sacrificed my first one to give its base to my duplicate Flaaffy. 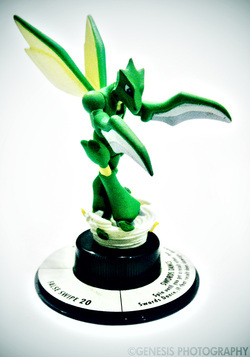 Notes : Scyther was acquired from one of the booster packs I bought on my birthday. 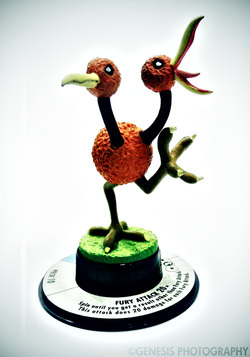 Notes : Torchic was obtained through booster packs. It is one of the common figures I got, acquiring 3 in different booster packs. 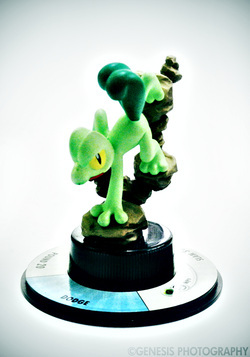 Notes : Treecko is part of the Flamethrower starter set and is one of the last few figures needed to complete the set. 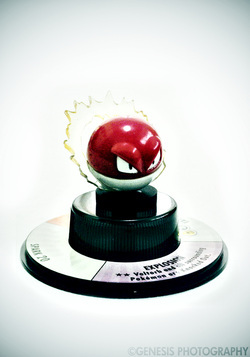 Notes : Voltorb was obtained through buying a group of TFGs from a store that sells them. Notes : Weezing was gotten from one of the booster packs I bought on my birthday. 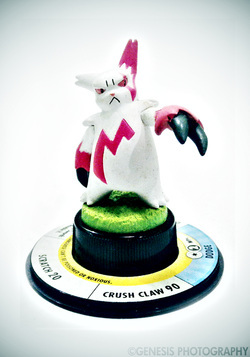 Notes : Zangoose was obtained through buying a group of TFGs from a store that sells them. 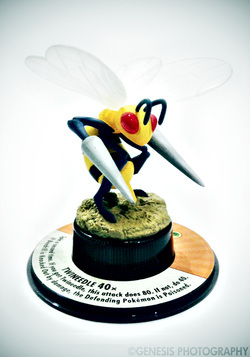 Notes : Beedrill was acquired through buying a group of TFGs from a store that sells them. 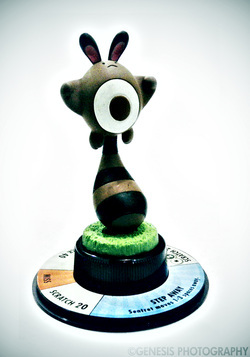 Notes : Doduo was obtained from booster packs. 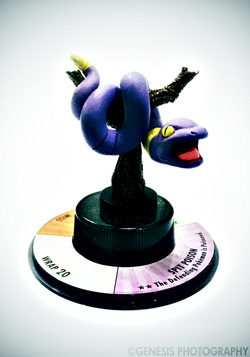 Notes : Like Absol and Torchic, Ekans is one of the common figures I got in booster packs. I've sold a few from friends already. 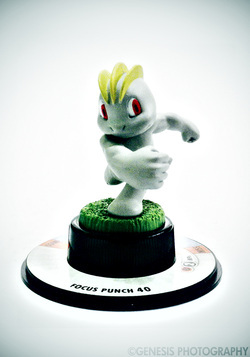 Notes : Machop is one of the bargain buy figures. 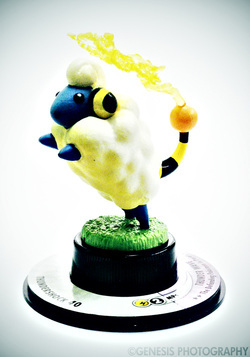 Notes : Out of extreme excitement, my first Mareep broke from its base when it flew out of the booster pack. I got myself another one that is fairly cheap. 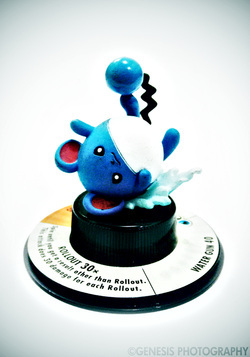 Notes : Marill was bought from another shop that sells TFGs. 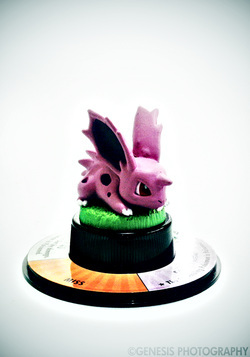 Notes : Nidoran M is one of the bargain buy figures. Notes : Sentret was acquired cheaply through a bargain from the store that sells TFGs. 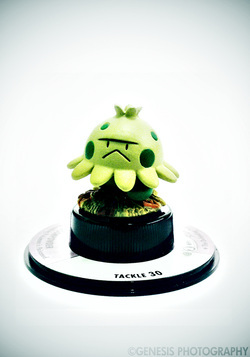 Notes : Shroomish is one the figures I bought as a bargain from the store where I buy TFGs. 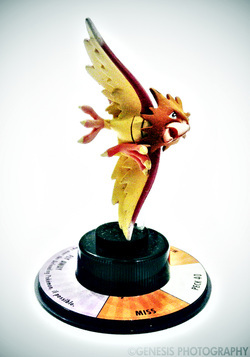 Notes : Spearow was obtain from one of the early booster packs I bought together with the Riptide starter set. 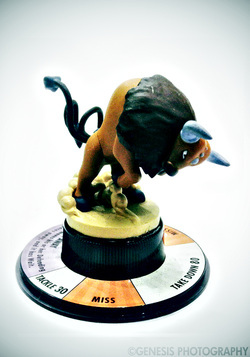 Notes : Tauros was bought from the TFG store. Someone actually bought the Tauros they have but luckily they restocked another one. 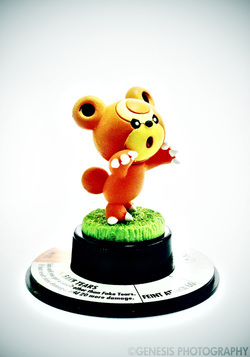 Notes : Teddiursa is another figure from booster packs. 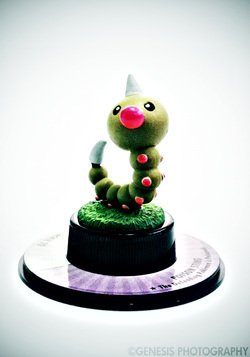 Notes : Weedle came from one of the booster packs my friend gave me. 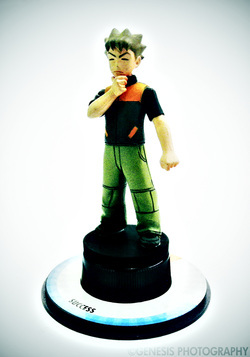 Notes : Brock was one of the first Gym Leader figures I got together with Erika. 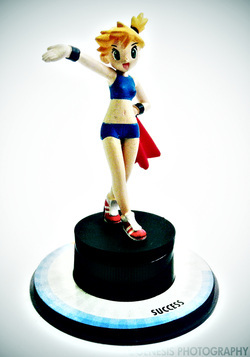 Notes : Misty was bought from the TFG store for quite a price. Notes : Brendan was my first trainer TFG when I bought the Riptide starter set. 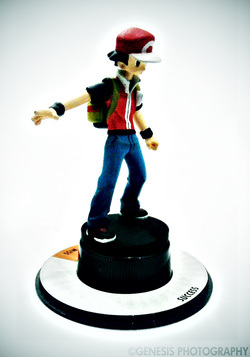 Notes : Red was the last needed figure to complete the trainers of the Next Quest series. He was acquired from the Flamethrower starter set.